Sometimes iPhone and iPad apps don’t work the way they should. 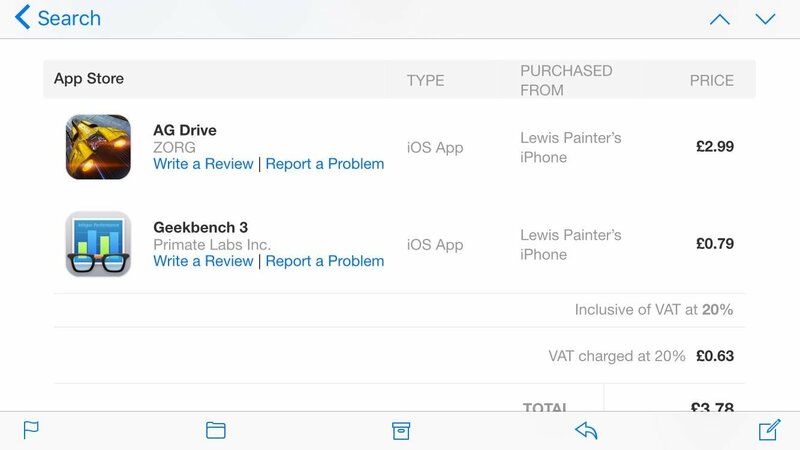 Here’s How to get an App Store refund from the App Store when an app is broken, faulty or unavailable. Sometimes iPhone and iPad apps don’t work the way they’re supposed to (or the way they were advertised); other times they’re just plain broken, or they vanish from the App Store and cannot be downloaded from the Purchased tab. In situations like these, frustrated consumers can ask for their money back – but how is this done? And will they succeed in getting a refund? Previously, developers could completely remove their app from the App Store for whatever reason, while still making it available for download to anyone who had already bought it – via the Purchased tab on the App Store app on their iPhone or iPad. However, a change to the way the store works meant that now, when a developer completely removed their app from the App Store, it was also removed from the Purchased tab. Tweetbot 4 developer Paul Haddad had this issue when he released Tweetbot 4 soon after the launch of iOS 9. To avoid confusion, Haddad decided to remove Tweetbot 3 from the App Store. He assumed that paid users of Tweetbot 3 would still be able to access it via the Purchased tab, but this wasn’t the case – and he got lots of complaints. But what if a developer doesn’t want to do what Haddad did? What if they remove the app and that’s that? Don’t worry, you can always apply for a refund from Apple, for both App Store and iTunes purchases. We’re not too sure how Apple will feel about refunding purchases from a single user on a regular basis, so it’s probably best to save it for an expensive app that doesn’t work on your device rather than a 99p app, for example. And you shouldn’t use refunds deliberately as a way of getting a ‘free trial’ of an app you fancy. Those outside the UK and EU (and those who have had their apps longer than 14 days) can still get a refund from Apple, but it becomes trickier. Why? Unlike with EU purchases within 14 days, all other refund requests require the user to give a reason before it’s accepted. This is then vetted by a team at Apple, who may contact you for more information before making a decision. 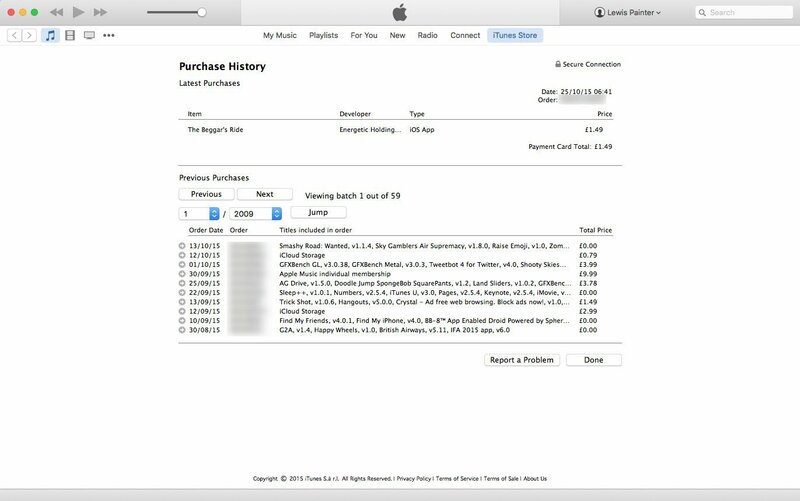 It’s worth noting that Apple has in the past refunded in-app purchases made accidentally (kids playing with a parent’s iPad, and so on), although the company only does this once per customer, so again use it sparingly. 1) Open iTunes on your Mac or PC. The first step is to open iTunes on your Mac or PC, and make sure you’re signed in with your Apple ID. You can check this by clicking Account from the top menu bar – if it displays your Apple ID email, you’re already logged in and can move on to the next step. If not, select Sign In and enter your password. 2) Access your account info. Once you’re signed in, click your name (just to the right of iTunes’ now-playing bar) and in the dropdown, select ‘Account info’. You should then be asked to input your Apple ID password before being given access to your account information. 3) Access Purchase History. Once you’ve accessed your account information, find the ‘Purchase History’ submenu and click ‘See all’. From here, scour the list and click on ‘Report a problem’ next to the purchase you’d like to get a refund for. 4) Finalise refund. After clicking ‘Report a problem’, you should be taken to Apple’s website. From here, follow the steps after signing in, request the ‘Refund option’ and explain why – note that UK/EU users requesting a refund within 14 days of purchase need not give an explanation, thanks to European law regarding digital downloads. If for whatever reason you don’t want to use iTunes on your PC or Mac, you can request a refund via your web browser. 1) Go to Apple’s problem reports page. The first step is to open your web browser and access Apple’s problem reports page, which can be found at reportaproblem.apple.com. Once accessed, simply log in with your Apple ID. 2) Find the purchase you want refunded. 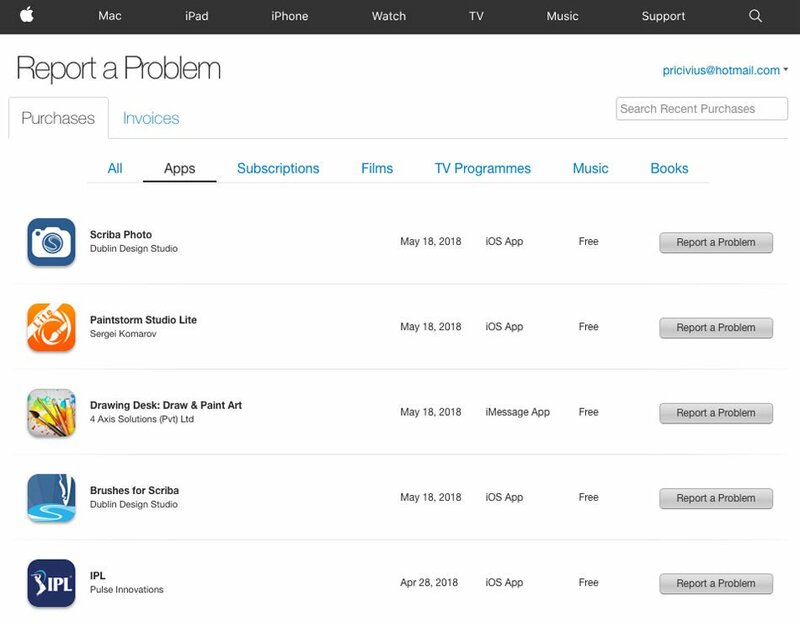 Once you’ve logged in to Apple’s Report a Problem page, select the appropriate tab (All, Music, Movies, TV Shows, Apps, or Books) and find the purchase that you want refunded. 3) Submit your refund application. Once you’ve located the app that you want to be refunded, simply select ‘Report a Problem’ to the right of the purchase. From here, you’ll need to select the reason you want the refund and then fill in the description as appropriate. Once you’ve filled out all relevant information, simply click ‘Submit’. Unfortunately, Apple hasn’t built any links to problem reporting into the App Store or iTunes apps for iOS, so if you’re stuck using an iPhone or an iPad, there’s a slightly different process to follow. 1) Launch the Mail app. The first step is to open the Mail app (or whatever app you use for your email) and find the invoice of the purchase you want refunded. The easiest way to do this is to search ‘Your receipt from Apple’ as this is always the subject of the invoice email. 2) Report a problem. Once you’ve found the invoice of the app you want a refund on (this may take some time depending on how often you purchase items from the App Store/iTunes), simply tap ‘Report a problem’ next to the app. 3) Follow the above steps. Once you tap ‘Report a problem’ you should be taken to Apple’s Report a Problem page in Safari. From here, simply follow the above instructions in the ‘via web’ section above.